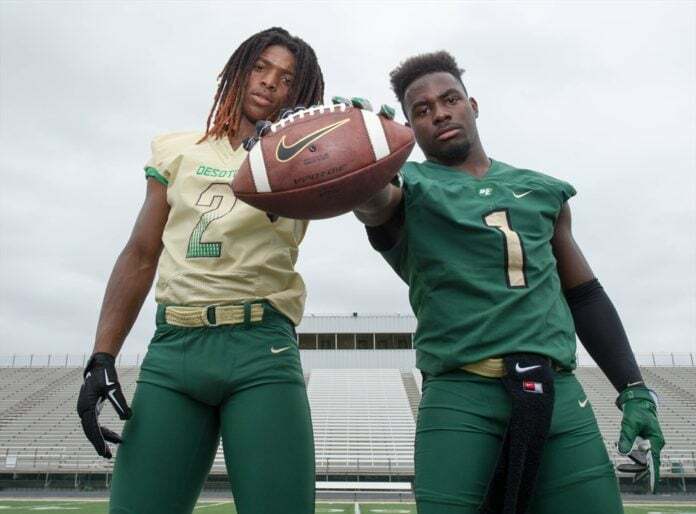 The Battle of Belt Line is tonight and the DeSoto Eagles say they are rested, healthy and amped to face off against Cedar Hill at Longhorn Stadium. Before the season even began, Coach Peterman was beleaguered by health issues on the offensive front line. The Wednesday before this year’s scrimmage two star linemen were hurt. Tackle Hyrin White (Sr, 6-6, 300 lbs) and Guard Xavier Newman (Sr, 6-4, 285 lbs) are currently on the injury reserve list. Both have verbally committed to Division I Colleges. This left a gaping wound in Peterman’s game plan for the DeSoto assault. He moved Defensive Tackle Howard Pitts II (Sr, 6-5, 300 lbs) to the tackle position and Junior William Brown to the Guard position. During the first game of the season against Dallas Jesuit Prep, surprisingly, the duo of Pitts and Brown kept the Jesuit defense at bay. 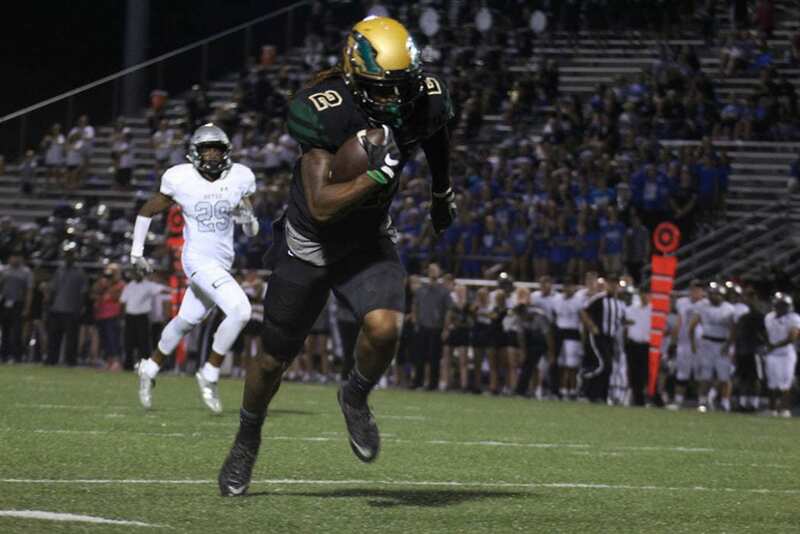 DeSoto was able to rack up almost 50 points–20 of which were scored in the third quarter. “He [Pitts] had a great game. He had never played offense before so I am very proud of him; especially considering he only three days of practice. He had a spectacular game,” said Peterman. DeSoto went on to defeat Jesuit 47-13. “They have done excellent we have moved Howard Pitts to the defensive side of the ball and we kept William Brown onoffense so he is still getting some playing time,” said Peterman. However, with the return of Newman and White, the Eagles’ offense could be pulling some new tricks out of the bag tonight. “We’ve only been able to execute two run plays and one pass protection because we were limited up front,” explained Peterman. 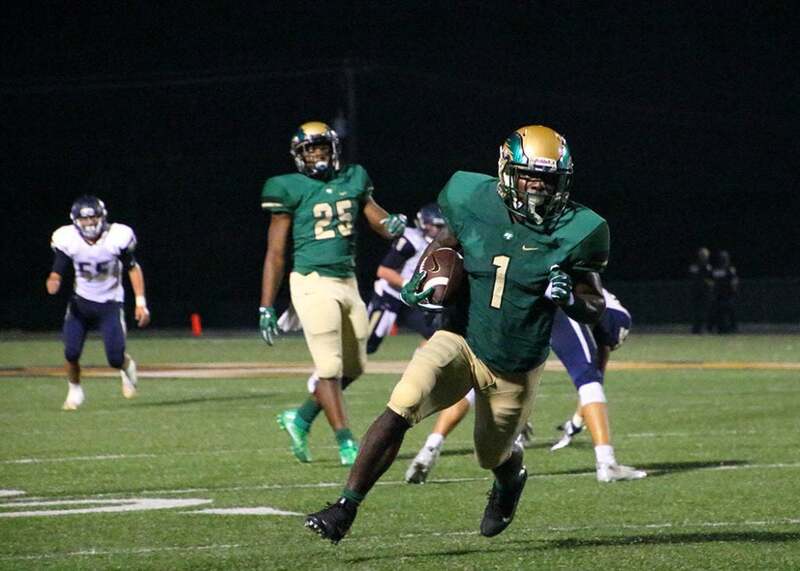 With an explosive dual threat like Shawn Robinson taking the snaps, one could only imagine what physical feats will be in store under the Friday Night Lights. Facing off against neighboring Cedar Hill who routed DeSoto out of a District Champion title last year is always a highly contested game. This year’s Battle of Belt Line the Eagles take on the Longhorns who boast 10 returning starters on the offensive side of the scrimmage alone. Peterman says his guys aren’t looking at any one person as an individual threat and his defense has been focusing primarily on the basics during the bye in week 4. And just in case you can’t make it tonight to Longhorn Stadium the game will be telecast via delay on Spectrum Sports channel (Ch. 323) at 11 p.m.